of former Vice President Atiku Abubkar. Tinubu castigated the Atiku for what he portrayed as a shallow commitment to vote based system the rule of law and the anti-corruption fight, stressing that his antecedents and current position on the state of the nation lend credence to hypocritical devotion to the cause of liberty and freedom. He said the former number two citizen, who worked in tandem with his boss, former President Olusegun Obasanjo, to rig elections in five Southwest states, cannot be described as a democrat. He recalled that, recently, the former vice-president was apologising to the Peoples Democratic Party (PDP) for failing to also rig the 2003 governorship election. The former Lagos governor chided Atiku for his subjective criticisms of the Buhari administration’s battle against graft, lamenting that he deliberately decided to support those who refused to thread the path of honour and decency. 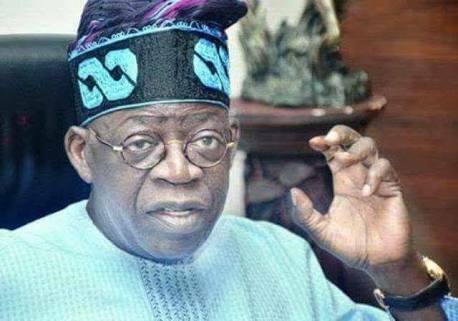 Tinubu, who reacted to Atiku’s State of the Nation Address, particularly his position on the Justice Walter Onnoghen saga, wondered why the PDP candidate had uncritically confused the suspension of the Chief Justice with removal, thereby confusing members of the public. He said the PDP flag bearer indulged in disregard for truth, patent misrepresentation, mistatement and self-incrimination, which, instead of exalting him, have made him unfit for the highest office in the land. Tinubu chided Atiku, who he described to as “my dear and good friend” for a shortfall in historical perception, saying the difficulty he alluded to in his speech about the moment was less significant than the difficulty with his personal memory. The former governor recalled that Atiku teamed up with Obasanjo to illegally withhold Lagos State’s local government allocations, in utter disregard for court orders. Tinubu stressed: “When you lorded over Nigeria in tandem with President Obasanjo, there were myriad court orders mandating that your government render to Lagos State the funds due it to improve the lives of its millions of inhabitants. To Tinubu, it is curious that Atiku pontificated on democracy and executive restraint, oblivious of how he kept sealed lips “when Obasanjo improperly removed Senate Presidents more easily than a trendy cad exchanges a pair of shoes or changes the subject of his false affections”. He said the former vice president’s lamentation for his boss’ failed plot to rig the 2003 poll in the Centre of Excellence, instead of showing remorse, portrayed him as a destructive enemy of popular rule. Tinubu said the searchlight should be beamed on the curious and strange breed of democracy being professed by the Adamawa-born politician, especially his disposition to the enthronement of an oligarchy for the purpose of enriching his personal friends. He stressed: “A few weeks ago in a televised broadcast, you even revealed to the people that your official policy envisioned the base enrichment of your friends, should you achieve the presidency. I must assume that your lifetime as a defender of democracy began after this long record of unjust deeds and even after your latest statement of intent to mould Nigeria into an oligarchy. Tinubu also flayed Atiku for stirring controversy and emotions by claiming that Justice Onnoghen, who was suspended, was removed from office by the president. He said: “Strange that you would choose to depict the current situation so inaccurately as to stir emotions unduly. You claim that CJN Onnoghen has been removed. However, this is not so. He has been temporarily suspended. You and your advisors should know and recognise the vast legal difference between “suspension” and “removal”. In Tinubu’s view, President Buhari has handled the Justice Onnoghen crisis with restraint, balancing the public concern about the integrity of the judiciary with the concern about the rights of the chief justice. He said: “It is ironic that Atiku of all people throw such darts at President Buhari. Buhari actually exercised considerable restraint in this matter. He has reasonably balanced concerns about the integrity of the judiciary with concerns for the individual rights of the accused. Nothing has been taken from the CJN that cannot be restored, if the facts warrant such restoration. Tinubu said the President opted for a balanced approach, following the realisation that the constitution does not provide clear and unambiguous guidance on a sensitive matter where the chief justice is the defendant. 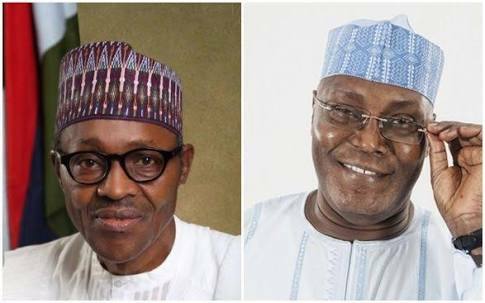 He said while Atiku railed against President Buhari because he showed restraint, it is doubtful if he and Obasanjo would have demonstrated tact, if they were faced with a similar situation while in power. He added: “It is curious that Atiku would take up the marker of a jurist who has enjoyed the sweet but hidden benefits of several million dollars of mystery money passing through his secret bank accounts, Even when discovered, these accounts held several hundred thousands of dollars in them. Someone in Atiku’s position would normally be wary of a judge thusly tainted. A politician in Atiku’s position should more objectively be concerned that the government would have been the source of the hidden funds or that government would use the fact of the clandestine money as leverage against the judge to make sure he did government’s bidding for surely this is a jurist highly compromised by pecuniary indiscretion. “It is almost unnatural that an opposition candidate would champion the soiled cause of such a judge who seems to have sold something in exchange for the money found in his vest’s secret pockets. “Yet, Atiku now cries the anguished cry of a man who thought he had won the lottery only to find he had misread the last number on his claim ticket. Or perhaps these are the tears of a man who thought he had invested in a sure deal only to see the reason for the investment evaporate before his very eyes.